Technically, only the male is called a peacock. The female is a peahen. When referring to the species, one might exclaim, “My, those peafowl over there are really stunning!” Finally, did you know that a bunch of these birds together can be called several different things? Collective nouns include a muster, an ostentation, a pride or a party of peacocks. It's never really a good idea to keep one of these birds in a suburban area. They need a lot of space, can get over walls (despite the myth that they can't fly) and are very capable of causing damage to neighbours' property. Peacocks also issue loud, shrill calls that increase during mating season. When it's your own pet, hearing it hoot may not be a bother. However, it won't be acceptable for neighbours cramming for a test or trying to get the baby to nap. It's imperative to check your area's by-laws concerning peafowl. In some places, no laws exist, but in other countries or states, they are considered a nuisance in the urban sector and may not be kept. A happy peafowl is one that's allowed to roam. The best setting is rural and it depends on safety factors whether these birds are permanently kept in pens. If living in an area where there are predators capable of jumping a large, clumsy bird, then pens are safest. 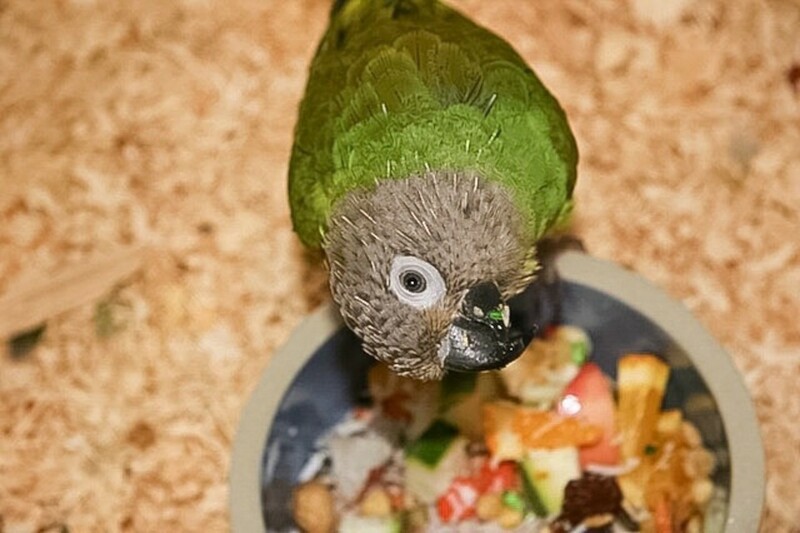 They must have adequate space in order to avoid causing cage stress or damage to the bird's body. Even free-range peacocks need shelter against the elements. A general rule is to make a shelter big enough so that the bird—tail and all—can make a comfortable turn. A single bird can be kept and will mostly get along with other fowl such as chickens and turkeys. For this reason, it makes a beautiful addition to any farm or homestead. However, a single bird's not always ideal. 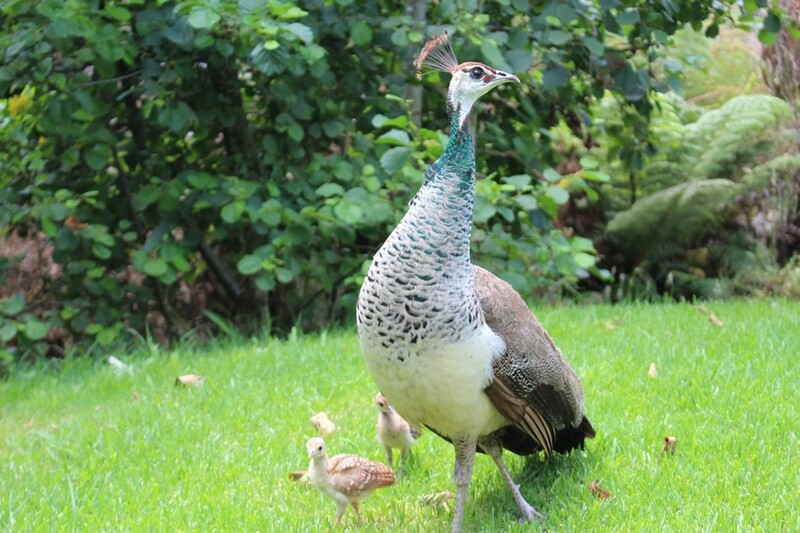 Peafowl thrive with their own kind. When deciding to keep more than one, experienced keepers might suggest you don't make them all male. In fact, it's often best to restrict the party to a single male and a few hens. This is sad news because let's face it, the boys are the pretty ones! 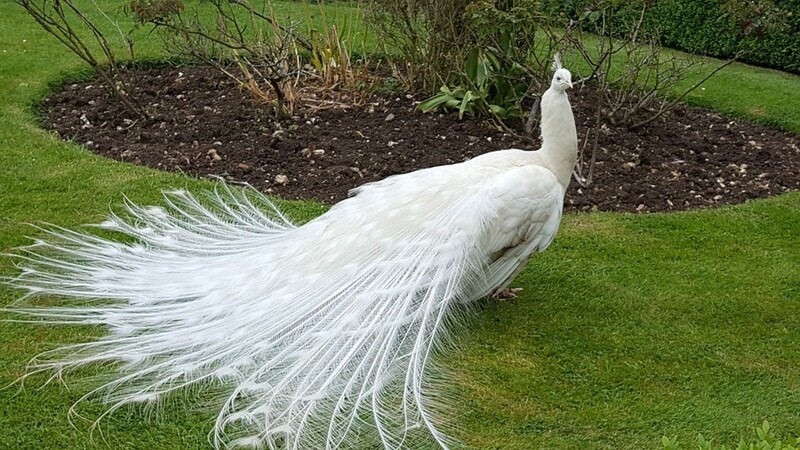 What's more beautiful than having four (or ten) peacocks fanning their magnificent tails all over the garden? The problem with male peacocks is that they're territorial, and they compete for the ladies. Peacocks can and will fight each other. Peahens are less aggressive and peacefully co-exist. The good news is that peafowl will eat almost anything. This doesn't mean that their diet can be a slap-dash affair. 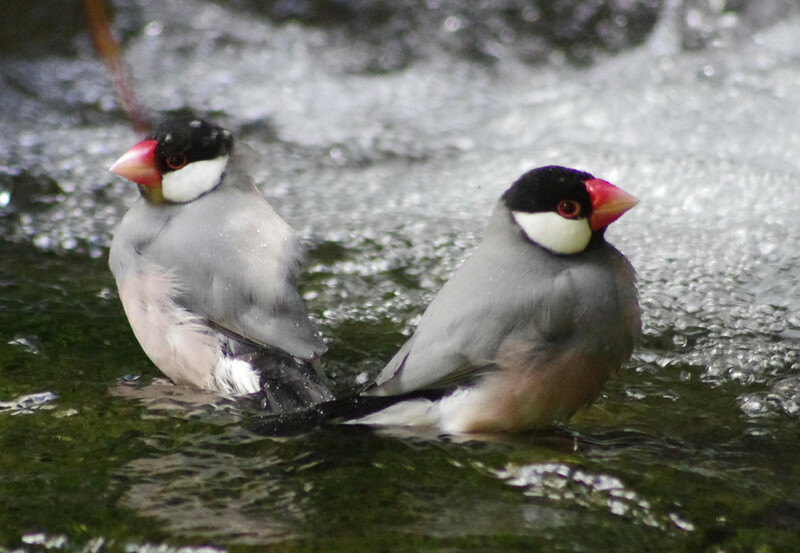 These birds require a lot of protein in order to maintain health, growth and their feathers. As omnivores, they eat grains, green vegetables, seeds, chicken feed as well as more “meaty” things like worms, grubs and bugs—natural browsing is a favourite activity. A game bird feed mix can also be given. Fresh water needs to be available at all times. Peafowl allow physical contact with their human parents but often this is more about being tame than exchanging affection. They've been kept since ancient times as domesticated pets, but aren't suitable as pets in the traditional sense. It cannot be house trained, will fail obedience school on the first day and will easily move on to your neighbour's farm if the food is better there. 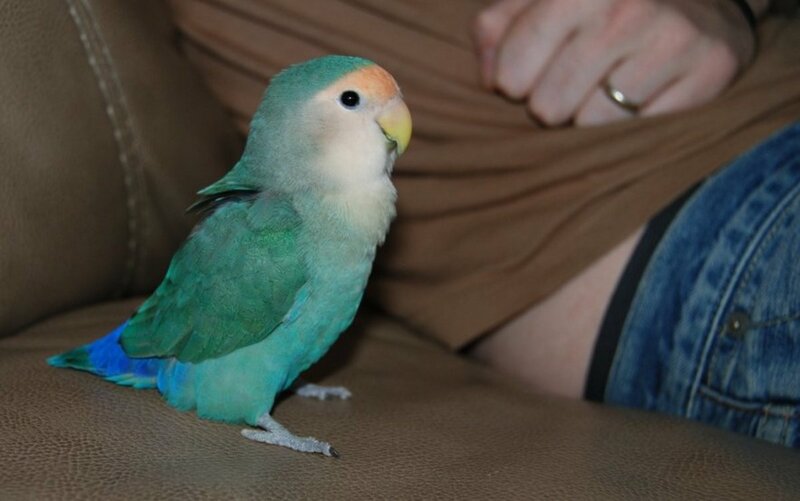 That peacock owners love their birds isn't in question. There are limitations, however, to how much a peacock can give you in return. That being said, it's very rewarding to cater to peafowl's natural instincts and needs. When these are met, the birds blossom and there's nothing more satisfying than watching a healthy flock browsing the garden. Should you fall in love with the idea of keeping your own muster of peafowl, then don't settle for the basics. Learn everything on the subject before buying your first peachick. Teach yourself how to raise a baby, follow the laws in your area and the neighbours must be taken into account. Expand your knowledge on what shelter, diet and safety measures must be maintained. Educate yourself about peacock first-aid, diseases and common injuries. Unfortunately, it's not a good idea to obtain this pet and learn as you go. The peacock is an exotic species. A first-time owner must arrive with knowledge, a suitable environment, be able to carry expenses and a certainty of lifetime care. 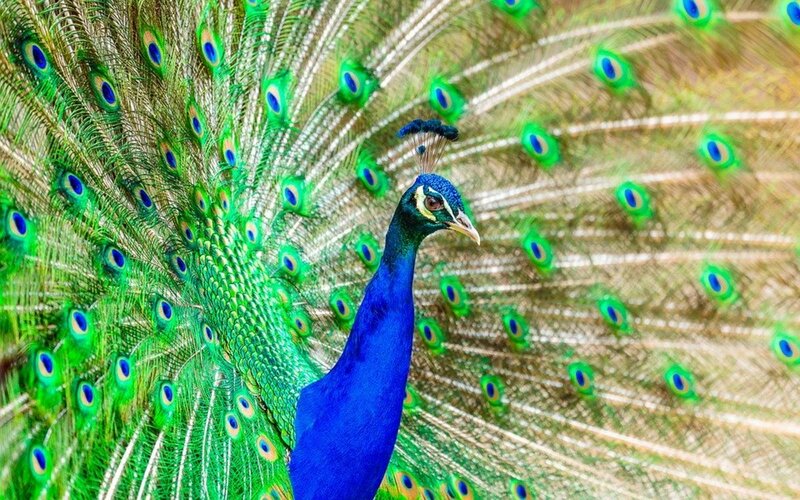 Peacocks have incredible longevity and have hit the half-century mark in captivity. Even in the wild, they can easily grow as old as twenty years. My grandma use to have a farm it was small with goats sheep chickens ducks geese guinea fowls pheasants and peacocks and a barn. My grandma's name is kathie ann chumra. This was very interesting. I knew nothing about peacocks other than they are beautiful. Now I know I don't want to be responsible for one and should leave it to the experts. Loved this article. You hit all the main points that i think most people wouldnt already know. My farm is surrounded by a school complex and i have had complaints of how loud they are during breeding season from people spectating football games ! Just to give you an idea of how loud they can really be.